Just because the clothes are gone and some of the fixtures yanked out at her envy boutique, that doesn’t mean Melissa Gorga is packing up and going home. The Real Housewives of New Jersey star vows to reopen and soldier on with her clothing store. Her costar Dolores Catania also weighs in her two cents on the situation between Melissa and Jackie Beard Robinson. In just under a year, Melissa Gorga‘s business arrangement with Jackie Beard Robinson and envy boutique fell apart. Jackie wants to share her side of what happened and also wishes the Real Housewives of New Jersey star the best on reopening the store in time for the Spring season. Plenty of people were skeptical over Melissa Gorga‘s latest business venture last season on The Real Housewives of New Jersey. When the reality star opened up a clothing boutique with a partner, many stories circulated that Melissa was just the “face” of the store and not the actual owner. Turns out that might be somewhat true, at least according to Kim D. Melissa’s business partner packed up the store and is now selling off the inventory at Posche Thursday night! In the past few seasons of Real Housewives of New Jersey, I felt like Joe Gorga was a pretty lovable side character. He liked the camera way too much and got uncomfortably naked at random times, but he was still seemed like a good and humorous person. But this season is not a good look for Joe, especially when it comes to his thoughts on Melissa Gorga opening up her clothing boutique Envy. Not only was he not down with the business idea, but he also seemed uncomfortable “watching” his own kids and sharing the home responsibilities with Melissa. I’m calling it now that Melissa will be bombarded with questions about this at the reunion, but for now it seems like Melissa is focusing on the bright side when it comes to her husband and her business. And that’s a wrap! Tonight was reportedly the taping of the season finale of The Real Housewives of New Jersey, with Melissa Gorga’s fashion show serving as the backdrop. Melissa sold tickets for the Envy Fashion Show to her fans and followers, which was held at Macaluso’s in Hawthorne, New Jersey. Proceeds from the show will benefit the Deborah Hospital Foundation. Melissa was supported in her event by sister-in-law Teresa Giudice, husband Joe Gorga and friends Kathy and Rich Wakile. Jacqueline Laurita skipped the cast event, but was reportedly a hot topic of conversation – namely her argument with Robyn Levy on the cast trip to Vermont. Take a peek at the photos below, but first: let’s observe a moment of silence for the good old days of the Posche Fashion Show brawls. 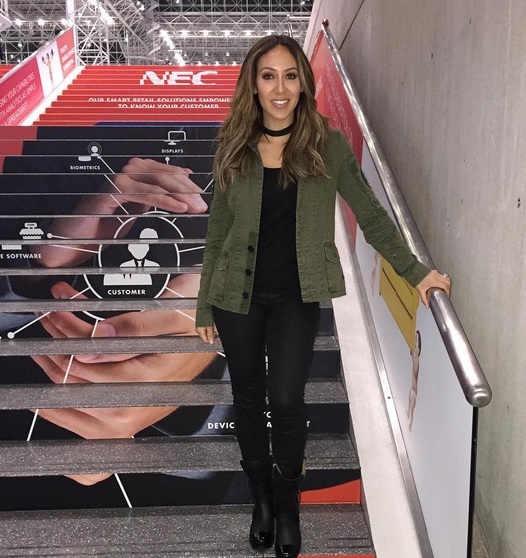 Melissa Gorga is getting ready to open her new boutique, envy by Melissa Gorga and this week she participated in the Montclair Fashion Night: Holiday Preview to give shoppers a peek at what they can expect. The Real Housewives of New Jersey star showed off a glimpse of the fashions via her new “EnvyEttes” (the Jersey version of Dash Dolls?) on the runway to model a few of the pieces.